I have a confession to make: putting out the chairs and tables for last Monday’s double choir special, I had a momentary wobble. I genuinely thought that I was pushing my luck and that it would all fall apart during the first motet. From the get-go it was a brilliant evening of singing, with some fantastic moments coming out of these antiphonal motets. While it’s fair to say that the Eccard probably didn’t float many boats (I liked it, though! ), the Gallus, Croce and Trombetti (let’s have more of him) seemed to go down well with you all. #pdtp singen all mit Freudenschall, obwohl manchmal ohne Präzision. As expected, the big highlights included the Victoria (just how great is that work? I mean really, they just don’t come much better) and the Palestrina, but the Anerio took the crown for most popular and engaging number of the night, despite (or maybe because of) that crazy chord produced by Choir 2; how I wish we’d captured for posterity that sonic wonder. For my money, though, the most fascinating number of the night was the Gombert (with which I have become slightly obsessed). It really is an extraordinary piece, and one that fully deserves to be revisited. Admittedly, it stood out from the others for a number of reasons: while the true double choir motets play out in 4:4 formation, Gombert’s masterpiece is really 1:1:1:1:1:1:1:1, and its subtly shifting harmonic centre gives it an elusive, at times almost unsettling feel. @PDtP glorious Gombert in 8 parts! Big shout out to all who took part, particularly for your patience and willingness to try out something even more complicated than we usually attempt – it’s fair to say that thanks to you pioneers we’ll be enjoying more polychoral PDtP sessions in the future. 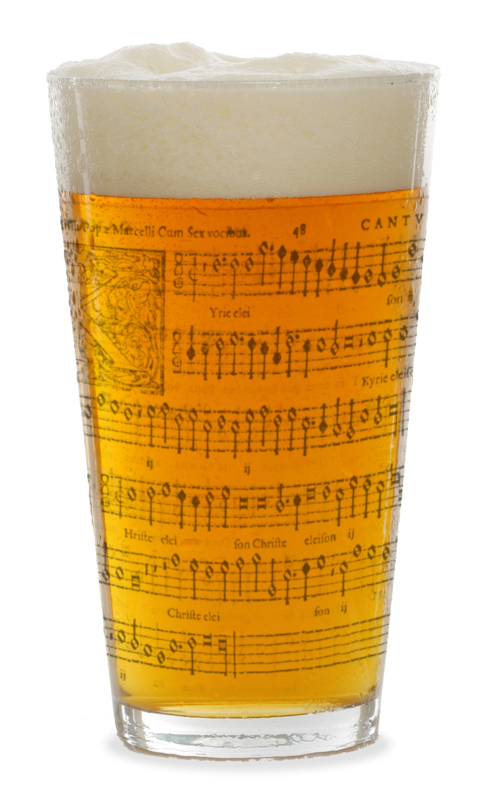 Speaking of the future, no news yet on April’s PDtP session but if you are itching to get back on that singing and boozing horse, we have a Counterpint session taking place at the marvellous Canbury Arms (great beer, lovely, lovely people) on Wednesday March 30th. If we get enough people, we’ll almost certainly revisit one or two double choir numbers. Places are already being snapped up so don’t miss out – reserve your place here!